The flowing marine design of Starfish is typical of those mass-marketed in Parisian department stores, beginning around 1910. 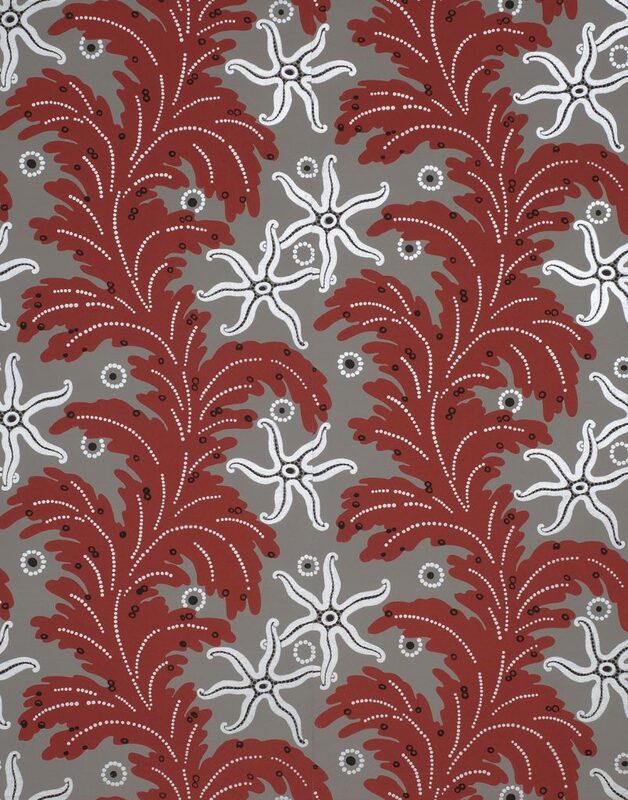 The use of silver metallic paint for the starfish and other design elements, against a gray ground and among the warm red fronds creates a calm, otherworldly effect despite the boldness of the design. Imperial Measurements: Repeat 23 ½ inches, width 18 ½ inches, length 11 yards, half-drop match. Metric Measurements: 59.7 cm, 47 cm, 10 m.